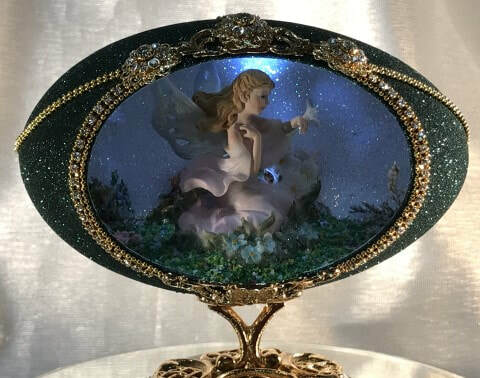 If you believe there is magic and we open our minds to enjoyment, fairies can make wishes come true. 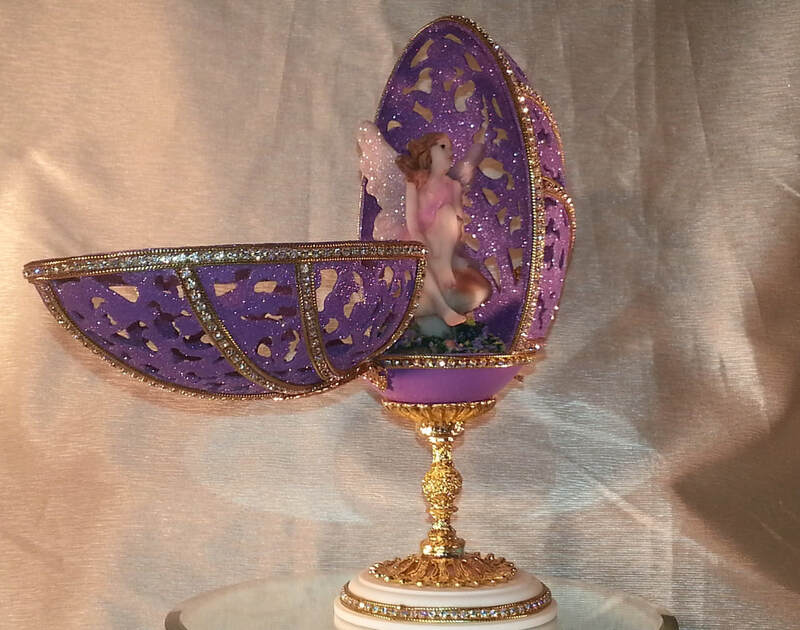 The rhea egg opens up to discover a fairy princess sitting on her mushroom stool, watching over the kingdom of fairies. 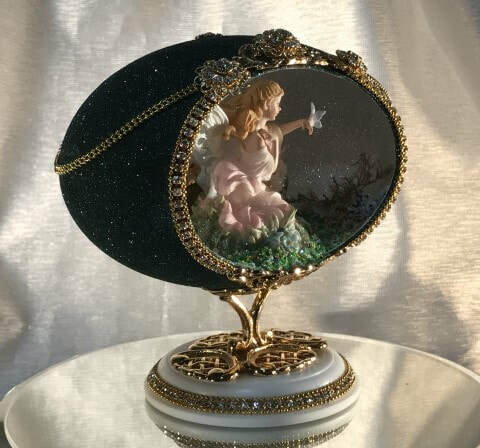 This hinged design is hand cut and decorated with beautiful Austrian crystals throughout the design. 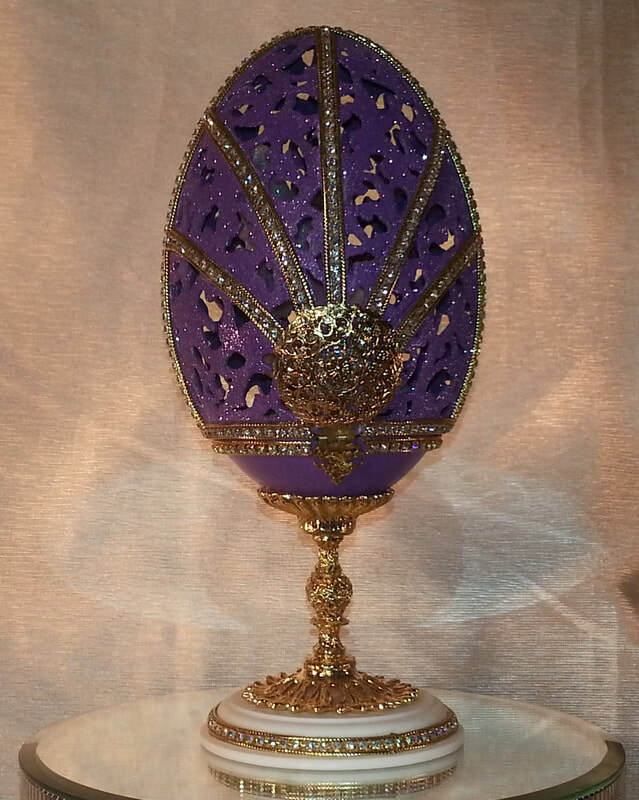 The egg is painted a wonderful lavender color and accented with velvet glitter. 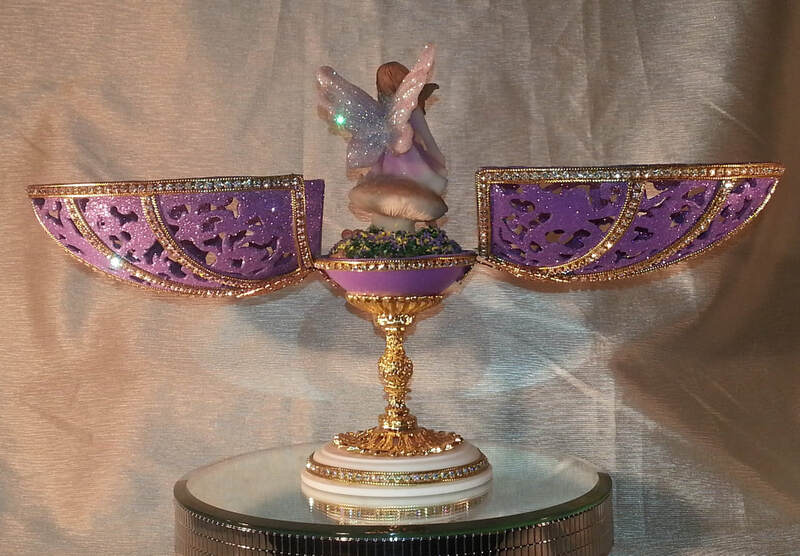 A gold plated decorative stand is used to support our mythical fairy as she watches over her magical kingdom. 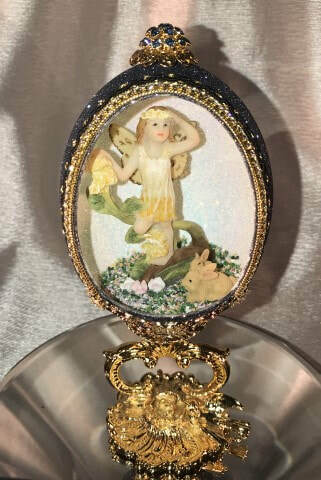 ​A Rhea egg is hand cut with a spectacular design to give you a detailed look into our "Enchanted Garden" with our detailed fairy figurine holding a beautiful butterfly. Austrian crystals are used to accent this hand cut design, with Swarovski crystals used in this elegant lattice cut on the back of this design. 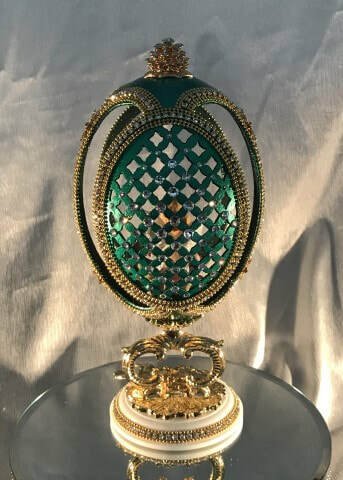 A gold plated stand and decorated corian base finishes this wonderful egg design. 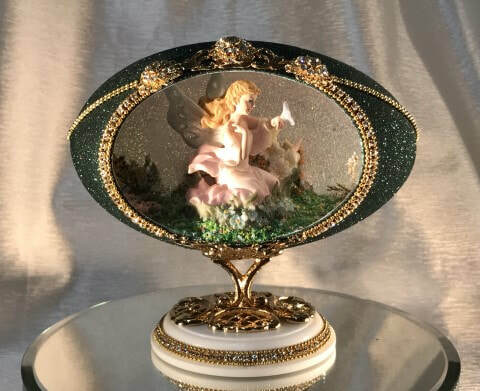 ​A Rhea egg is hand cut with a spectacular design to give you a detailed lighted look into our "Enchanted Garden" with our detailed fairy figurine holding a beautiful butterfly. 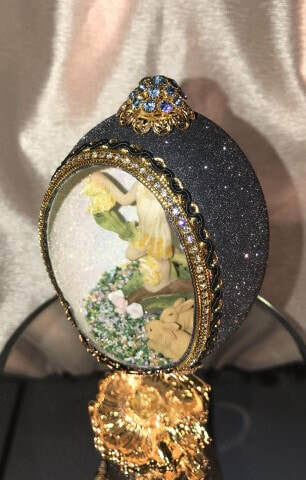 This design is a lighted version to the original Enchanted Garden design. 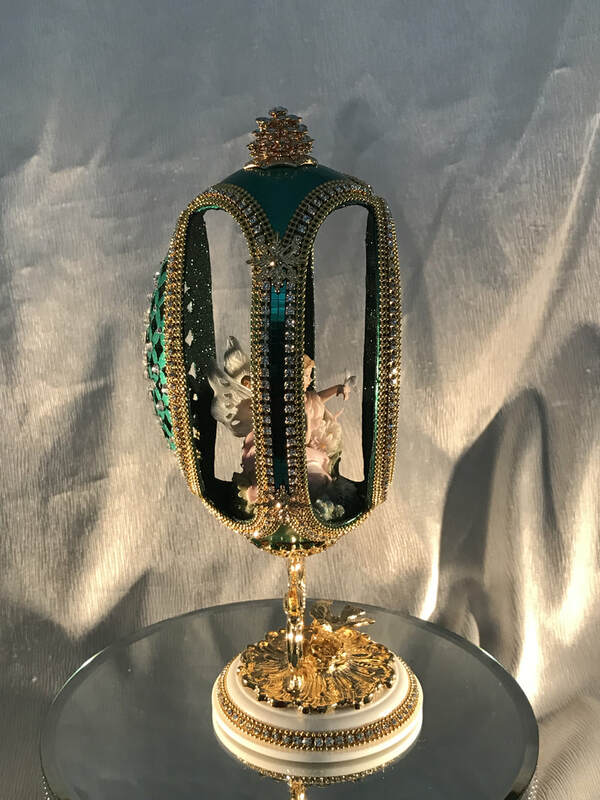 Austrian crystals are used to accent this hand cut design and crystal filigree accenting the front of our design. 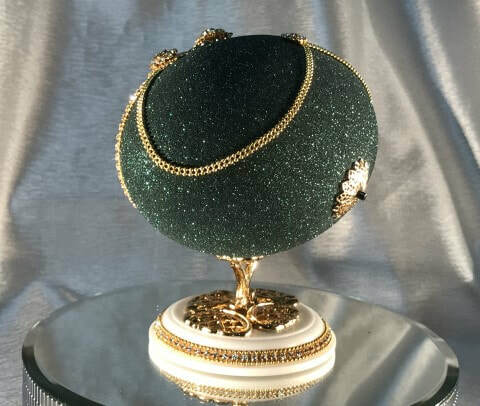 Green Velvet glitter is used on the outside of the egg to give a beautiful sparkle to your egg. 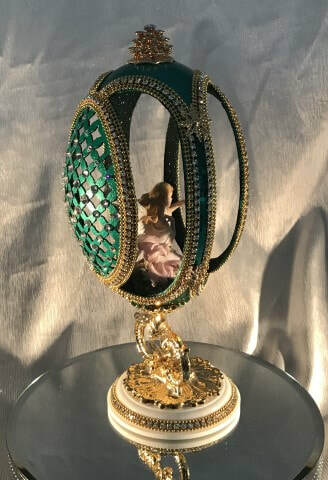 A decorative gold plated stand and jeweled corian base finishes this lighted egg. 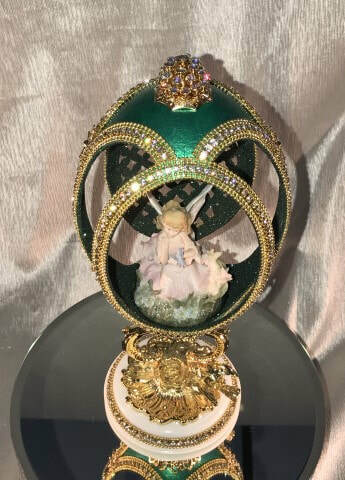 A summertime fairy is looking for her friends in this emu egg design. A pair of adorable rabbits come to help her search for her friends. 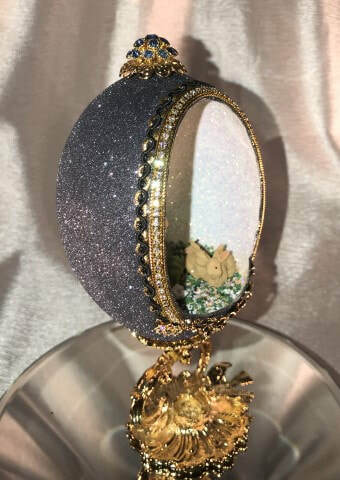 This emu egg is hand cut and decorated with Austrian Crystal chain. 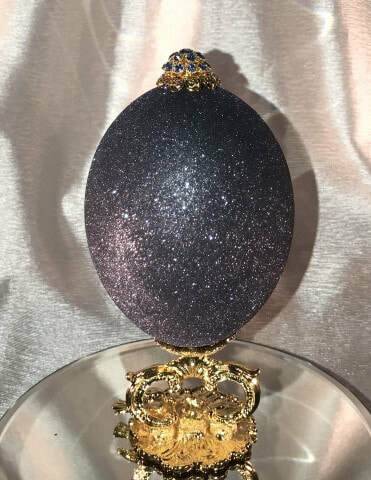 The out side of the egg is decorated with a rich grey velvet glitter, to make your egg shimmer in the light. 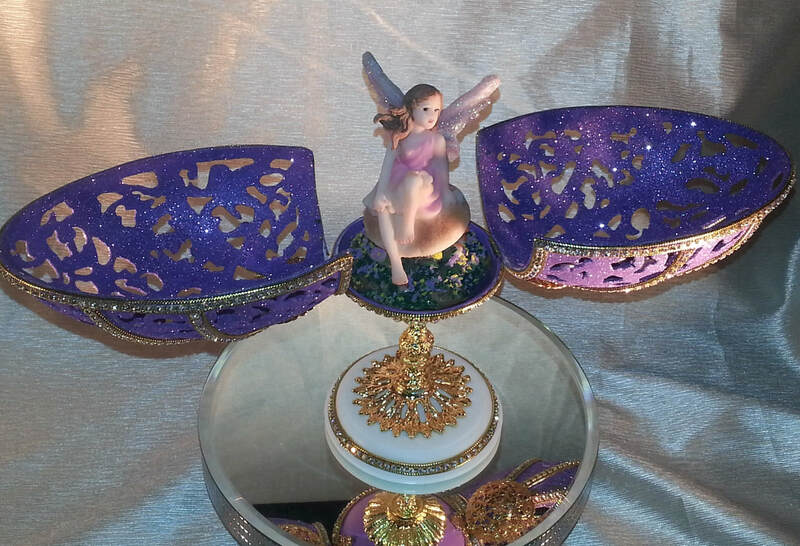 A three tier blue crystal top is used to finish this design. 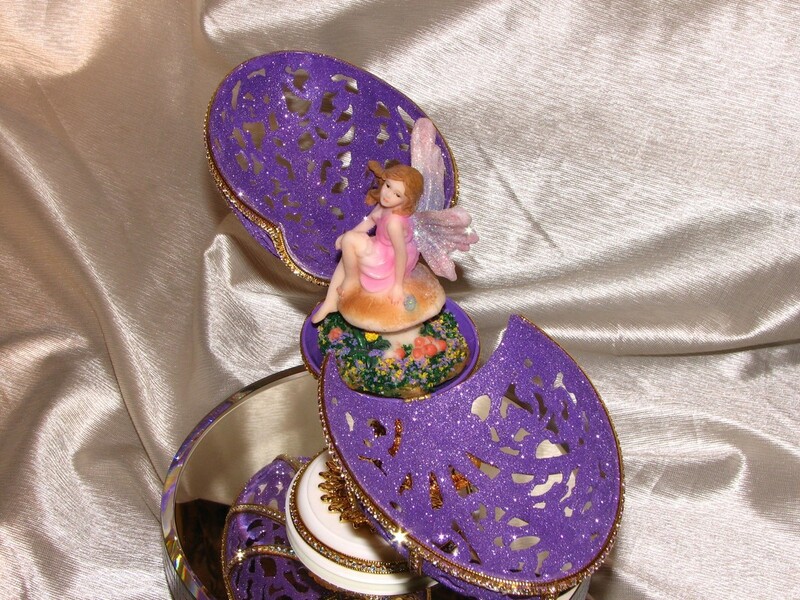 A gold plated stand with a bird supports our summertime fairy.